Lisa, we may just wind up with Manny, too. I'm so excited right now, I can't even see straight. I feel like I just got a massive espresso caffeine buzz going on!! Getting Tex was not only necessary for our line up, but it practically seals the fate of the rest of baseball. If we wind up with Manny, too, that would be the equivalent of shooting pigs in a barrel. I did not want Manny alone but as a compliment to Tex, the Yankees will be much like The Terminator wearing body armor made of teflon and titanium. And it's about time. People need to realize that these signings are not Randy Johnson and Kevin Brown signings. This time we've acquired some enormous young talent eager for a championship to go on their mantles. And we're sick and tired of everyone's taunting and bitching about the Yankees. Now we get to respond with convincing return fire. I love how we make this massive acquisitions so discreetly. I guess the Yankees can also be called "The Stealth Bombers"! Congrats on getting the Red Ryder BB gun we all so very much wanted. So, since we didn't get him I can go back to focusing on the fact that I haven't wrapped anything and look forward to an interesting day of football on Sunday. Have a great and safe holiday everyone!! You have a terrific holliday, too, and a great New Year as well. Now if we can deal Matsui with his money off the contract off the books along with all the others that is gone there would be room for Manny and him and Damon can alternate in LF/DH. The only damper I can put on this is can Cano comeback to his 2006-2007 level and will the pitching hold up..add that Tampa might be as good if not better in 2009 and the Red Sox are not going anywhere I can see 100 wins not being good enough to making the playoffs for one of the 3 top teams in the AL East. The wailing and gnashing of teeth at Citi Field and Fenway is deafening. All I can say (with apologies to Bill Murray is, "...human sacrifices, dogs and cats living together. MASS HYSTERIA!!" as a met fan, my teeth are not gnashing. no sour grapes either, just a little disappointed. enjoy it yankee fans. better get those .25 tickets now too, pretty soon only tex, cc, burnett, arod, and jeter are going to be able to afford to go to a baseball game, eh but that is the cost of trying to buy a championship, no? Congrats to the Yankees and their fans. What a coup. This is certainly disappointing. I'm gonna drown my baseball sorrow with the Celts vs Sixers tonight. Squawkers and commenters: Have a very Merry Christmas and a happy healthy New Year! Economy collapsing... People out of work... Home sales plummeting... Auto Makers failing.... Banks being bailed out... $180,000,000 for one player. one of these things is not like the others... one of these things just doesn't belong..
Good job yanks Good job. Oh, quit your bellyaching. When the Yankees make signings like this we're villified. We're the bad guys. If your teams have done it instead for the same money, would it have been okay then? Hell no, no human deserves that much money. All kidding aside, it IS a good signing in terms of the talent they are getting. It's just a Frakload of money. Why worry about the money? The Yankees have already gotten $450 million lined up from the government. And all they had to do was give the politicians a free luxury box. Who cares if the politicians have to raise taxes on the stupid taxpayers to pay the Yankees. Isn't it worth it if they Yanks go to the first round of the playoffs again? Of course it's worth it! Stop being a whining crybaby already. It's irritating. Emperor, I have been critical of you and your posts in the past, and have vowed to be more considerate in my posts responding to you. 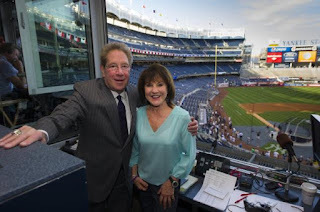 In that vein, I will simply ask that you take a step back, be objective, and look at this through the eyes of someone other than a desperate yankee fan. it stinks. the yankees are asking the government for more money for their stadium and yet have an additional $400 million to spend on 3 players. "Of course it's worth it! Stop being a whining crybaby already. It's irritating." Very mature. It is a wonder why people dislike yankee fans. Way to have a little perspective, Emperor. as the yankees have proven for the past 7 years, money and a roster of all-stars do not a champion make. we'll see how things unfold on the field in the summer (and the fall ....), as it should be. Jonmouk - Yes, it would have rocked to get that bat so I am disappointed, but I'm not gnashing anything - at least not yet. Yanks got the big prize with ARod and that has yet to payoff by Steinbrenner standards (e.g. - a WS win) so no guarantees. Plenty of time to debate it all game by game once April arrives. In the meantime - all other differences aside: Rock on for the Bill Murray reference. Nicely done! The line about dogs and cats is vastly underused these days. KM, your criticism does not scare me, and you are not objective because you hate the Yankees, so naturally everything you say is going to be dripping with contempt. I'm not going to argue the same points with you over and over, because it's pointless trying to make you see things from a Yankee fan perspective. You want me to step back? Sure, no problem, but in turn I want for you to knock off the sarcasm everytime I post something. Not everything I say is a knock on you personally. Line up looks good, but not too scary. I would worry about that there is no grit, or above average defense besides Texiera. I wouldnt start sizing up rings yet. Empress, as I stated in another post, you can insult me and the mets all you want. it is why I post on a blog. if you take these things personal, and get all sensitive as a result, go join a quilting circle, it is more your speed. and i wasn't asking you to step back from the argument or me, i was suggesting that you look at the yankees spending from an unbiased viewpoint, which i realize is impossible. I will not remark on the yankees spending 1/2 billion on 3 players any longer. or close to 1 billion for 4. it is what it is. good luck on the season, but realize that if the yankees do not win the world series, than this season has been a monumental disappointment and choke job. it is the world series or failure. enjoy.